Author Terri Grimes is trying to raise money for Lindsay McKeever, a young mother who lost her fingers and toes from TSS. She is donating 100% of the proceeds of Now I Lay Me Down to Die to the Lindsay McKeever Care Fund. 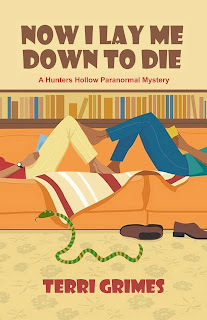 Now thru April 30th, paranormal romance author Terri Grimes will be donating 100% of the proceeds from both the print and ebook version of Now I Lay Me Down To Die to the Lindsay McKeever care fund. Help a deserving young woman and have a good read at the same time.